Step 1 Sellers sign up and once approved add their products. 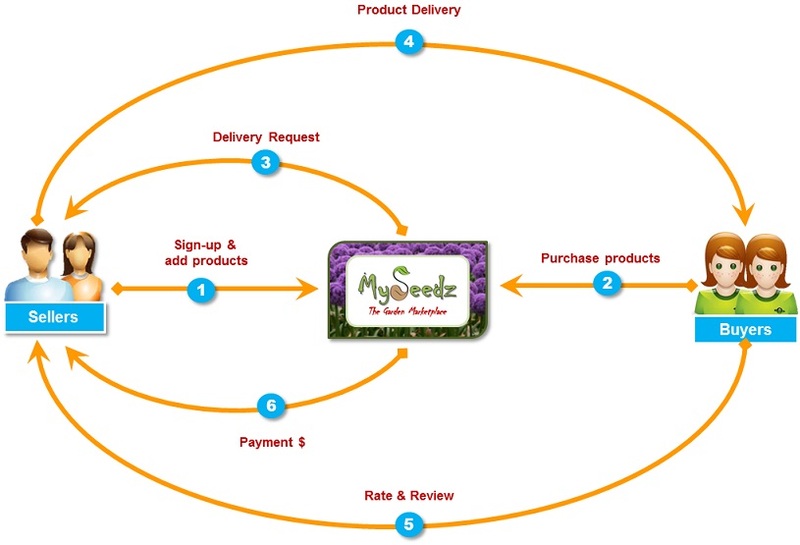 Step 2 Buyers purchase products. Step 3 Delivery request sent to seller for orders. Step 4 Seller dispatches products to buyer. Step 5 Buyer rates and reviews the seller on receiving products. Step 6 Sellers paid earnings.